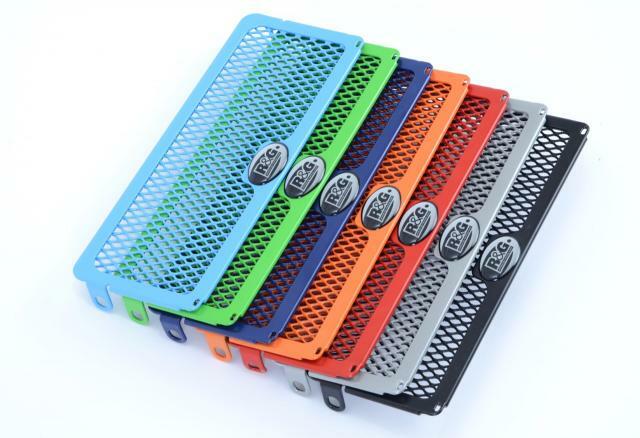 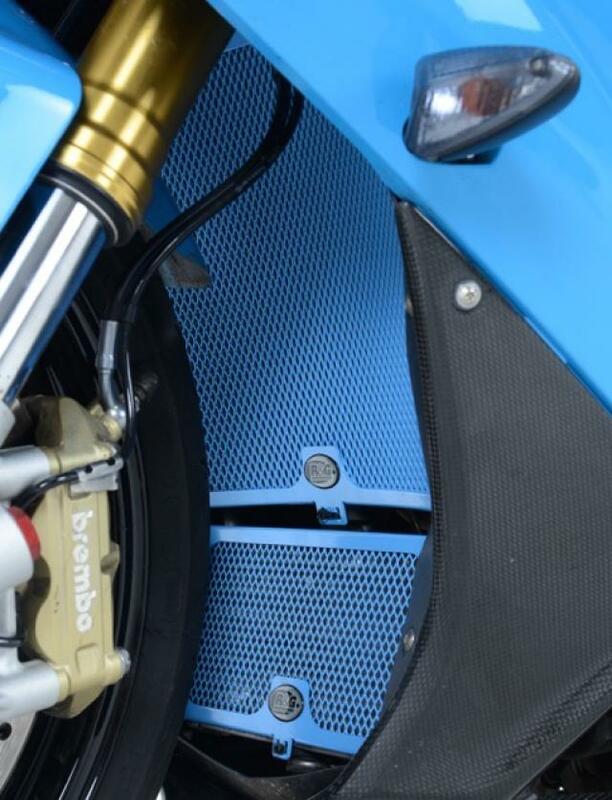 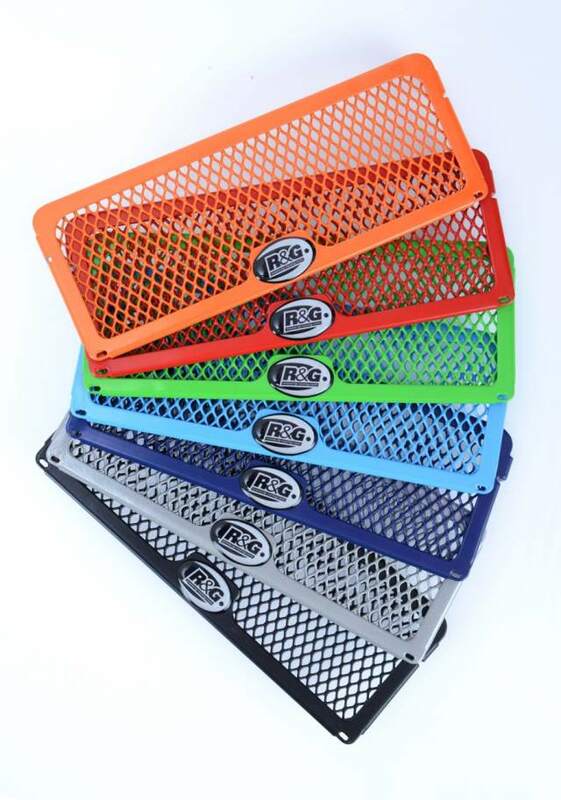 MOTORCYCLE crash protection specialist R&G has introduced a range of colour options on its radiator guards, oil cooler guards and downpipe grilles. The coloured range includes red, light blue, dark blue, orange, black, green, and titanium and is available for a large array of bikes. 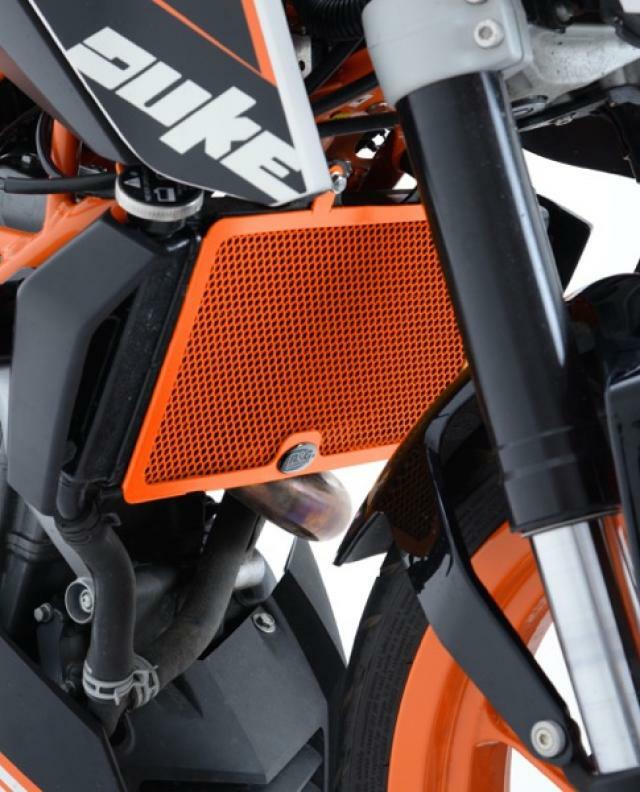 The radiator guard and oil cooler guard are also available in stainless steel for extra strength, but don’t have any colour options.